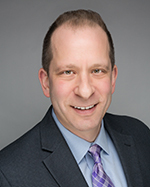 Dr. Davis is the Paul V. Profeta Chair of Real Estate and the Academic Director of the Center for Real Estate at the Rutgers Business School, where he has worked since September 2014. Previously, Dr. Davis was the James A. Graaskamp Chair of Real Estate in the Department of Real Estate at the University of Wisconsin-Madison, where he worked from September 2006 through August 2014. Dr. Davis was also the Academic Director of the James A. Graaskamp Center for Real Estate at the University of Wisconsin-Madison. He was previously on the Academic Advisory Council of the Federal Reserve Bank of Chicago and was a Research Associate at the Federal Reserve Bank of Cleveland. From July 2002 to August 2006, Dr. Davis was an economist at the Federal Reserve Board working in the Flow of Funds Section. From October 2001 to July 2002, he was Director of Yield Optimization at Return Buy, Inc. and from August 1998 to October 2001, Dr. Davis was an economist at the Macroeconomics and Quantitative Studies Section of the Federal Reserve Board. Dr. Davis is widely published on issues related to the U.S. housing markets and a frequent lecturer. He holds a Ph.D. in Economics from the University of Pennsylvania. Dr. Davis also serves on the board of directors of SkyBridge Opportunity Zone Real Estate Investment Trust, Inc., a private REIT, where he is the chair of the valuation committee.